These two strands of narrative create a compelling read and draw effective parallels between the two troubled men. Neither Udi or Daniel can answer for their desires to move, or begin to justify their decision in response to their family’s protestations. At the start, this lack of reason is difficult to comprehend, but as we learn more about Udi and Daniel’s similarly complex national, religious and personal identities, their desire for change, answers and a sense of belonging become much clearer. These two fundamentally analogous stories are skilfully placed side by side, and we spend much of the book not knowing whether they are to become intrinsically interwoven, or whether they run alongside one another simply because the two men, although at the mercy of opposite quests, act on the same impulses and are held back by the same dutiful ties. Towards the middle of the book, Wayne introduces a third story that confronts issues of racial tension directly, developing many of the already-established themes and offering further political and cultural context. Although we eventually learn how this third narrative thread sits amongst the two existing plots, we are still left wondering what it will mean for the future of the narratives we have been tracing. Though both men have seemingly made their decisions by the end of the book, Wayne’s novel by no means comes to any kind of concrete conclusion, and this is perhaps reflective of the realities of the ongoing crisis. 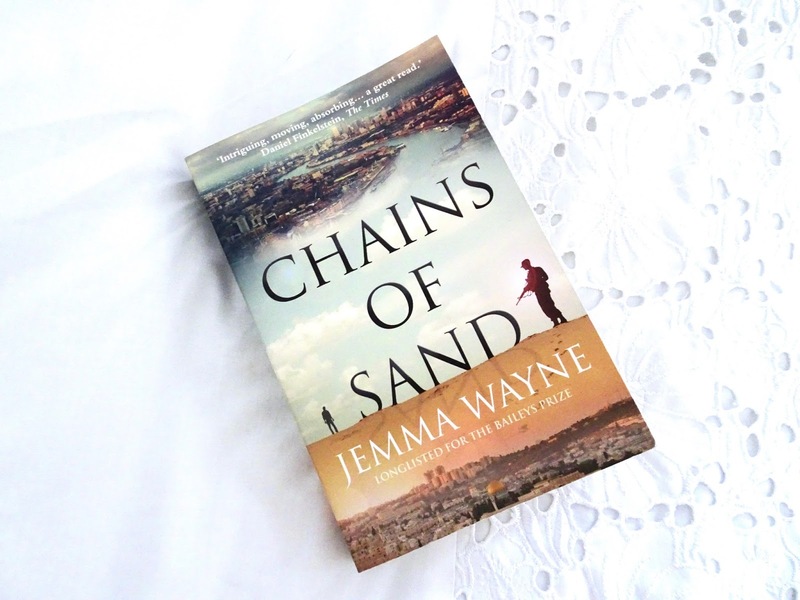 Wayne’s title, Chains of Sand, operates on multiple levels. Firstly, it is drawn from the book’s very own pages, from an expression used to describe one character’s troubles with a forbidden relationship. Secondly, it seems to convey much of Udi and Daniel's struggle; they are both drawn to a place they don’t know by something intangible, a gut feeling, an urge. But they are simultaneously held back by traditions and a culture to which they don’t feel a strong enough bond. And finally, the ethereal notion of chains made from sand seems to allude to the injustice of hate and war based on race, religion and cultural identity. Although Chains of Sand solely portrays Israeli-Palestinian crisis, there is something ultimately universal about the characters and their struggles. It is easy to presume that a novel raising such serious and political issues would be a heavy read, but what makes Chains of Sand such a compelling and absorbing book is the way in which Wayne draws you into her characters and their mind-sets with her effortless command of language and storytelling. *I was sent this book in exchange for a review, but all words and opinions are my own. Affiliate links may have been used in this post.